Depending on which entrance you take, you could slide your way past fish entrails or exotic herbs and spices, but either way it’s all worth investigating. There are also several stall-type kitchens upstairs that serve up some serious local eats, like nasi Kkerabu, fresh crab and curries. 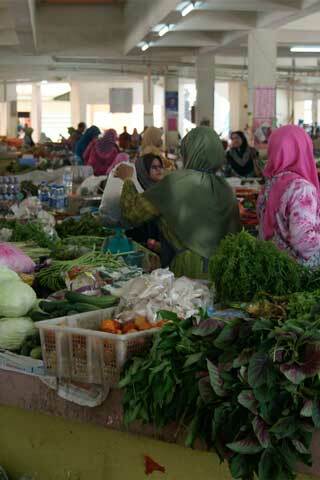 You’ll find the market to the south of Jalan Pintu Pong.